For the New Road. 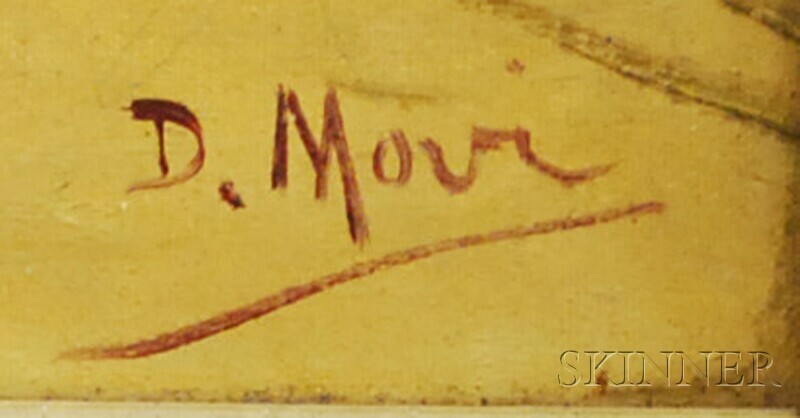 Signed "D. Moir" l.r. Oil on canvas, 12 x 18 in., framed. Condition: Slight craquelure, surface grime.